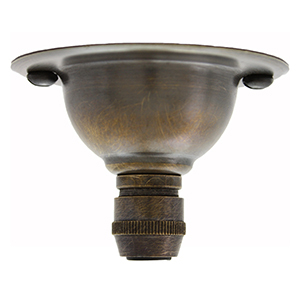 A ceiling light plate in our vintage brass finish. 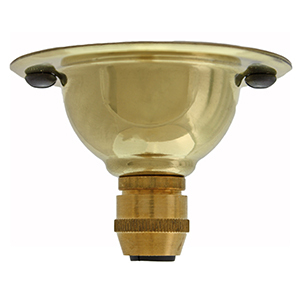 Manufactured here in the UK from solid brass. The brass then undergoes an oxidisation process to produce a deep brown patina. The end result is a warm and rich finish similar to vintage brass from the 20s and 30s. 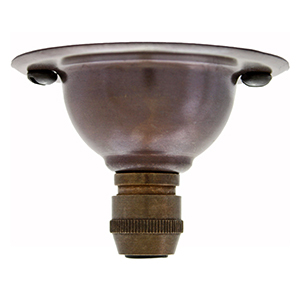 Small and discreet this ceiling light plate is perfect for period interiors or with distressed white brick walls in industrial styled spaces. 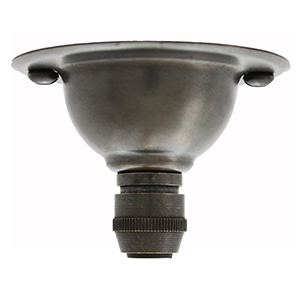 Comes with a matching brass cable grip for securing our round and twist lighting cable. 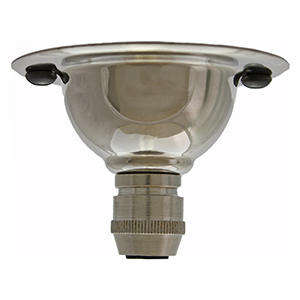 If using in commercial settings such as bars it is good to know that all of our deep light plates have BESA fixing holes for fitting directly to conduit. This ceiling light plate is not designed to house the electrical connection. This will need to be made in the ceiling void or conduit. Must be earthed. For ease of wiring an earth tag is fitted inside the unit. Installation by a competent person only and in accordance with current regulations. Terminal block not included.